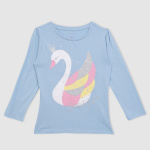 Make your little one look like a princess by dressing her in this appealing t-shirt. With an enticing print and a shiny finish, this t-shirt looks striking. 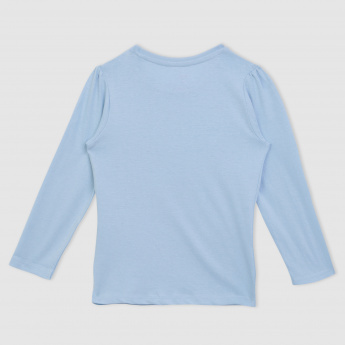 It is fashioned with a round neck and long sleeves to bestow a comfortable fit throughout the day.